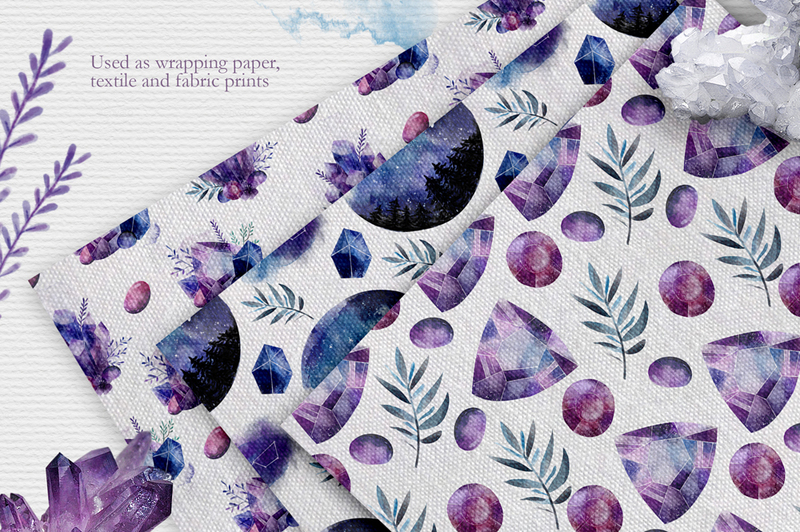 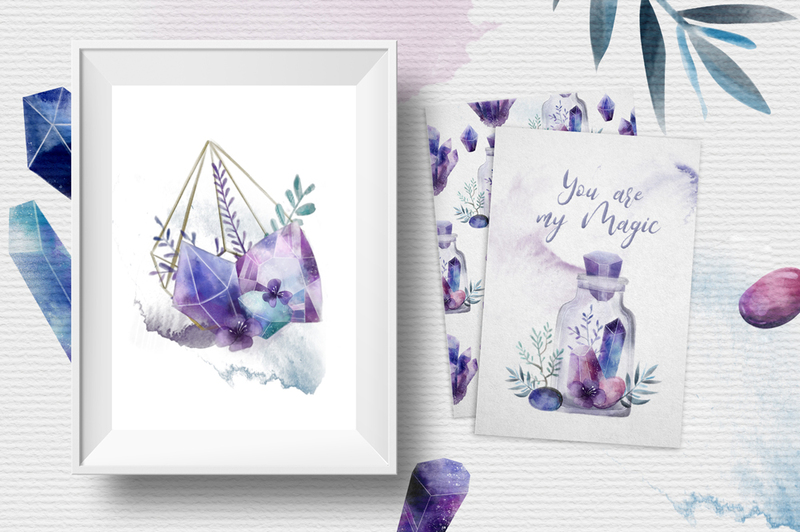 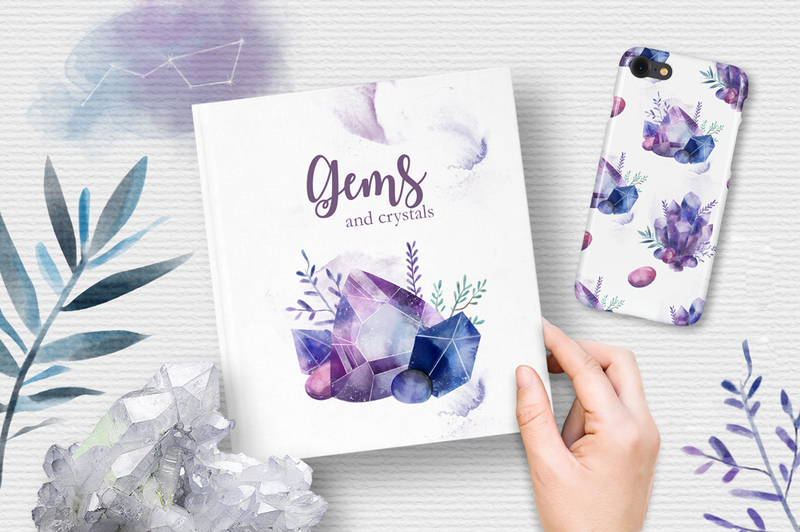 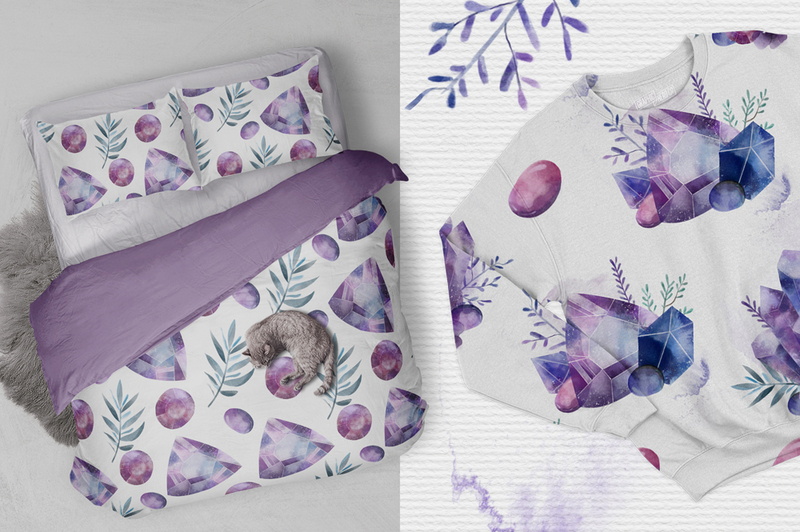 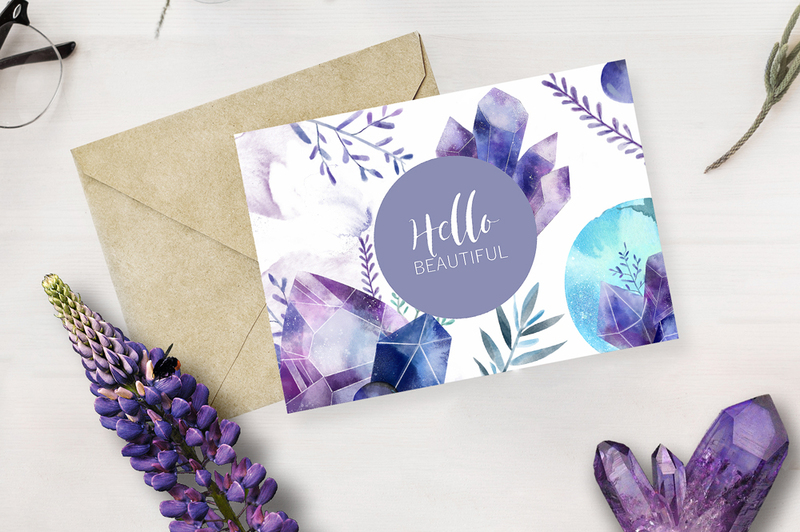 This magical set will help in creating greeting cards, stylish posters for the living room, postcards, prints for clothes, bedroom textile, pillows and more. 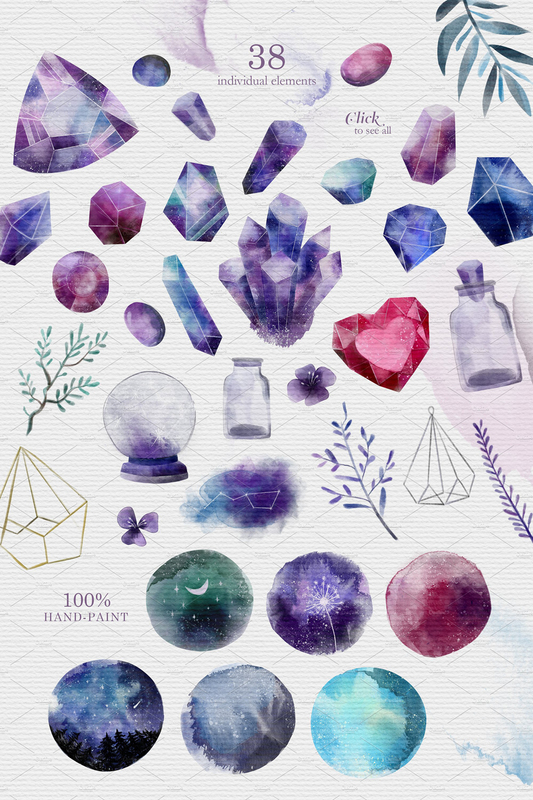 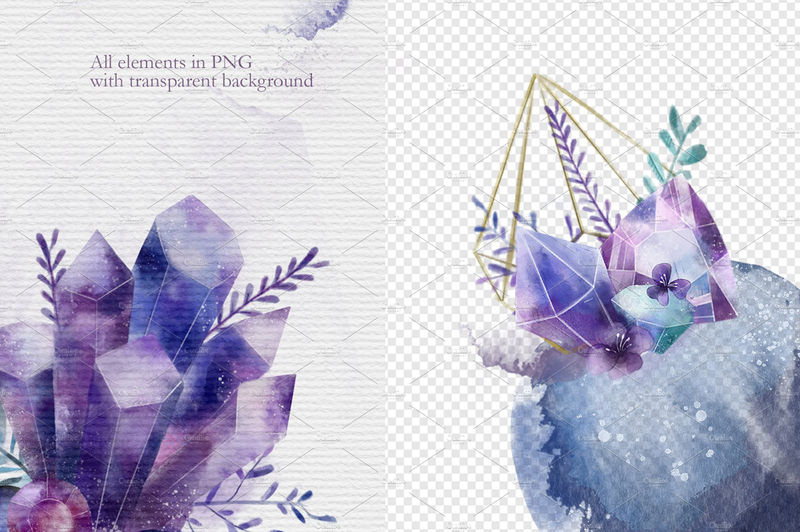 This bundle included 100 elements in .PNG and .PSD formats. 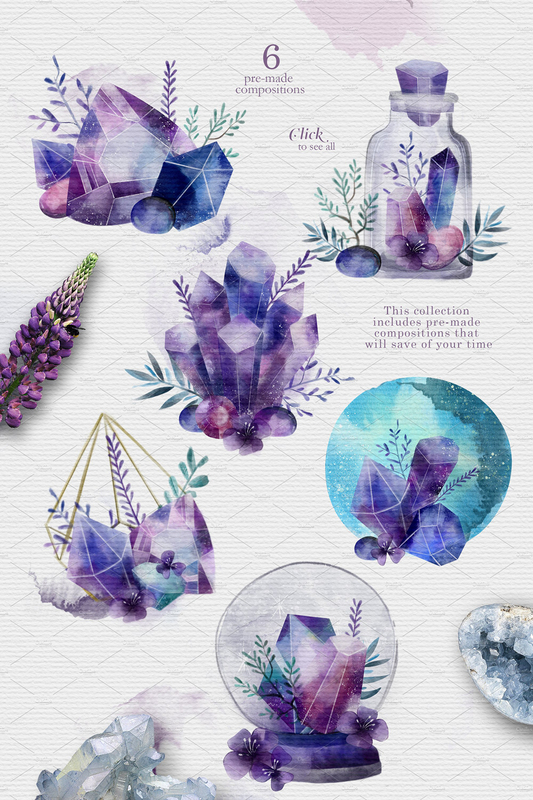 DIY elements, clear crystals, rhinestones, watercolor planets, jewels, gems, textures, floral branches. 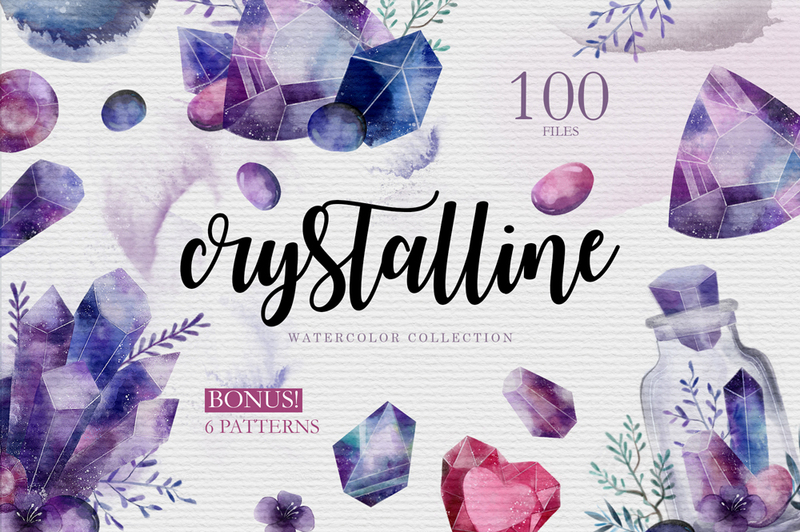 Combine the elements as you want, reduce and enlarge to create your own magic watercolor illustration. 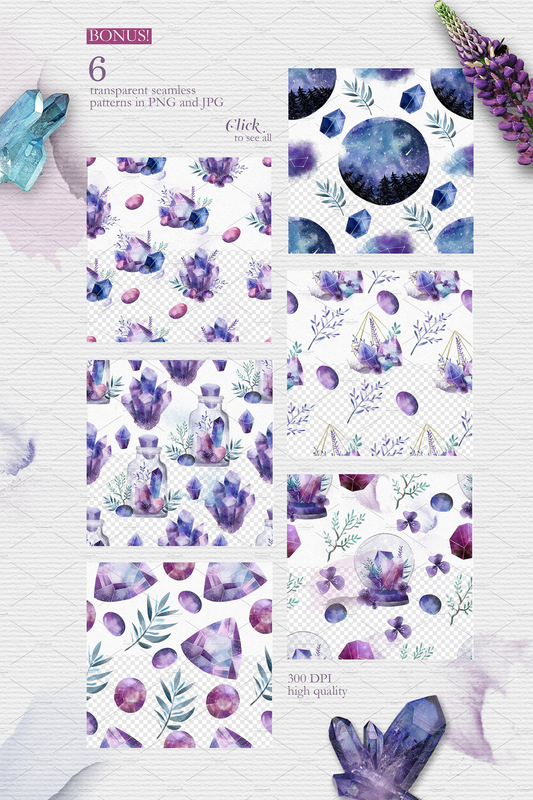 Also, this set will help in creating greeting cards, stylish posters for the living room, postcards, prints for clothes, bedroom textile, pillows and more.